To heal a land scorched by 36 years of civil war, this man planted 20,000 trees by hand. 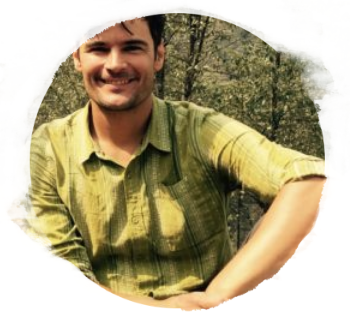 Meet Armando Lopez, founder of the Chico Mendes Reforestation Project in Pachaj, Guatemala. Photo by Cate Brown, Guatemala Summer Program. We're super excited to see and share this announcement from Tufts University. "Civic Semester is intended to be embedded in the academic experience at Tufts,' McAndrew said. Tisch College partnered up with Where There Be Dragons, a well-known program provider for academic gap semesters and years, according to Solomont. In the program’s first year, it will admit 25 students. However, Solomont said that there is room for growth in the program, saying that it could expand to 100 more students in future years." Did you know Dragons now offers an advanced level course for alumni of Dragons and other expedition, leadership, and international experiences? The new program is for participants ages 18-25 and runs from Feb 7 - Apr 29, 2019. The itinerary was handcrafted by veteran Dragons instructor Tim Hare and includes wilderness exploration, Andean culture, Spanish language, and rock climbing. The course was developed in shared-vision and collaboration with the High Mountain Institute. "The Andes mountains have captivated me for over 15 years, drawing me back to climb granite spires in southern Argentina, or walk through spacious wilderness of Patagonia or high glaciated peaks of Bolivia. The diversity of landscapes and cultures along the Andes Mountain range is breathtaking and I continue to learn so much from the various mountain communities and ways that humans have learned to relate to their natural surrounding in this region. " 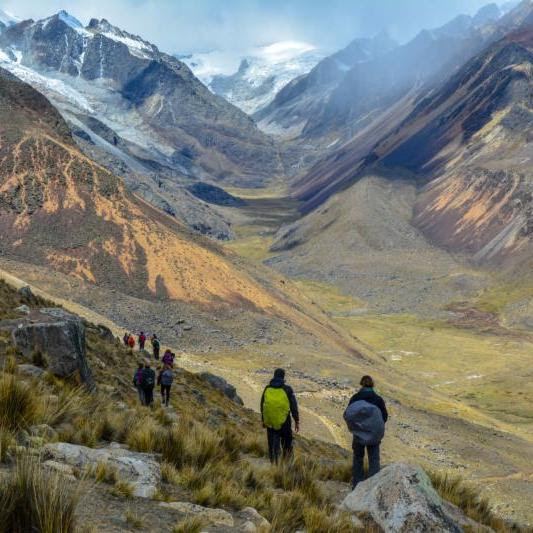 *The Andes Leadership semester is for students who have participated on a prior travel program or HMI course. Did you know Dragons is accredited by the Gap Year Association? "Accreditation by the Gap Year Association represents a commitment to the highest standards in safety, quality, and integrity. They have agreed to consistently abide by the Standards of the Gap Year Association, which typically means that a student can count on an experience with the highest caliber of field leadership, the best degree of office support, and the highest standards of safety. [...] The process involves both GYA staff and the powerful Board of Advisors to ensure the best in Gap Year education and the highest consistency in programming." "Founded in 2012, the Gap Year Association is a 501(c)3 nonprofit accreditation and standards-setting organization for gap years that is recognized as such by the US Department of Justice and the Federal Trade Commission. We continue to advance the field of gap years because we have seen their profound benefits on students from all backgrounds, and believe an intentional gap year can be part of the welfare for us, our nation, our neighbors, and our fellow global citizens. The Association collaboratively pioneers research on its outcomes, as well as serves as an information and advocacy hub for university admissions personnel and educational counselors..." Read more. Learn more about Dragons approach to Risk Management, Course Design, Responsible Travel or What We Believe! [post_excerpt] => Did you know Where There Be Dragons is accredited by the Gap Year Association? What is the Gap Year Association? (From the AGA website:) "Accreditation by the Gap Year Association represents a commitment to the highest standards in safety, quality, and integrity." "On a recent Global Journeys program, a group of 9th and 10th graders looked closely at how climate change and sustainability relate to culture in Taiwan. Their investigation took them around the island, from the metropolis of Taipei to the tiny coastal village of Dulan, from Buddhist monasteries to urban recycling centers, remote permaculture farms to bustling night markets. Most memorably, the students spent four nights at a homestay with families from the indigenous Atayal community—a once-in-a-lifetime chance to experience the rhythms of the tribe’s daily life in the mountains (and pitch in on farm work) and learn how that way of life is being threatened by climate change." “I was so tired after high school. It was a lot,” said Matthew Oakland, 20, a second-year at Princeton from Oak Grove, California, who took part in the Ivy League school's famed Bridge Year program. "Just the whole end part of senior year, testing, and getting things squared away and applying. And suddenly you’re just doing one thing after the other and I just wanted to slow it all down." Princeton, like Harvard, encourages its incoming first-years to delay the start of college. Programs such as Bridge Year offer incentives to make it as easy as possible, regardless of financial background. It may seem counter-intuitive, but statistics suggest that a break between high school and college produces students who are more dedicated to their courses and more apt to get involved in service work. And no, this isn’t the first step towards skipping college entirely. Nine out of 10 students return to a four-year college within one year of taking their gap year, said Knight. It may in fact be the year your kid needs to gain the maturity necessary to make the most of his or her college experience. Shaina Watrous, 26, is a New York University law student who graduated from Princeton in 2014. She was part of the school’s inaugural Bridge Year, in India, where she worked with an organization that helped combat human trafficking. The experience changed the focus of her career. “I hadn’t been as interested in service before I went on Bridge Year, and then I realized it was this essential part of my life,” she said. “It kept me motivated to do my work in India, and my academic work in Princeton.” She signed up to tutor in area prisons, as part of the Petey Greene Program, majored in public policy, and will pursue issues of justice and incarceration as a lawyer when she graduates. Read the full article "Programs Aim to Make a Gap Year Possible, Regardless of Financial Background," and congratulations Shaina Watrous and Matthew Oakland! [post_title] => NBC News Features Dragons Alumni! NBC News Features Dragons Alumni!